The Race for Warriors 5k is being hosted by the St. Wolfgang House at Guardian Angels Central Catholic. All proceeds from the event will benefit veteran programs in the area. One-hundred percent of the proceeds will be donated. NOTE: At this time, Sept. 25th, we cannot guarantee any new registrants or same-day registrants a T-Shirt. We have extras that will be given at a first-come, first-served basis. The race is a fun run/walk. Participants should feel free to run, walk, or do any combination throughout the race. The race will begin in front of the GACC cafeteria on Niphon street between Walnut and Bridge streets. The route is 5 kilometers long, or 3.1 miles. Signs will be planted along the route to guide runners and there will also be student volunteers to help runners along the way. Water tables will be set up along the route, as well. Runners will check-in in the GACC auditorium--GYM ENTRANCE. Entrance is on Walnut street. Signs will be posted. Here you will receive your T-shirt and bib number. The 1 mile kids' fun run is for those children wanting to run but can't quite finish a 5k yet. Participants will run with high school students and will always be supervised along their route. All participants will receive a medal and t-shirt. Feel like running but don't know what to do with your kids? Bring them and let us watch them while you run! Our students (with adult supervision) will play games and do projects with them in the GACC gym until you finish. All you'll need to do is let us know at check-in. After the race, breakfast will be served in the GACC cafeteria for all runners. Breakfast is included with your registration fee. Once everyone is finished with the race, we will present awards. If you are with someone who did not register to run but wishes to eat, we will have a free-will offering for the breakfast. 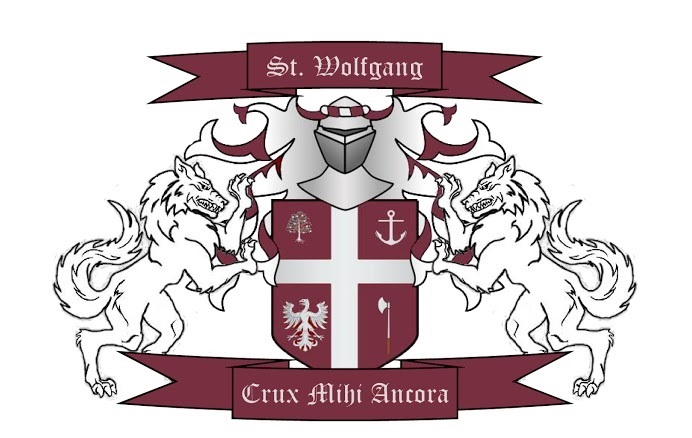 St. Wolfgang House is a student organization at Guardian Angels Central Catholic consisting of 42 current students and 17 alumni, as well as a teacher acting as house Dean and two other staff advisors. We focus our efforts on service, knowledge, faith, and family. We hold various service projects throughout the year as well as family and faith-building activities. If you would like to learn more about the House of St. Wolfgang or are in need of any service, please contact Matt Schlaebitz at mschlaebitz@gaccbluejays.org or by calling the school at 402-372-5326, or check us out on Facebook and Twitter. We'd like to thank our generous sponsors and donors. Look for their signs along the route on race day. Please support their businesses! Participant Waiver for Race Registration-- By registering, you agree to the following: I know that participating in [volunteering for] a road race is a potentially hazardous activity, which could cause injury or death. I will not register or participate unless I am medically able and properly trained, and by registering, I certify that I am medically able to perform this event, am in good health, and am properly trained. I agree to abide by any decision of a race official relative to any aspect of my participation in this event, including the right of any official to deny or suspend my participation for any reason whatsoever. I attest that I have read the rules of the race and agree to abide by them. I assume all risks associated with running in this event, including but not limited to: falls, contact with other participants, the effects of the weather (including high heat and/or humidity), traffic and the conditions of the road, or any other unmentioned hazard that arises, all such risks being known and accepted by me. I understand that bicycles, skateboards, baby joggers, roller skates or roller blades, animals, and personal music players are not allowed in the race and I will abide by all race rules. Having read this waiver and knowing these facts and in consideration of your accepting my entry, I, for myself and anyone entitled to act on my behalf, waive and release the St. Wolfgang House Race for Warriors 5k, the school of Guardian Angels Central Catholic, the city of West Point, all event sponsors, their representatives and successors from all claims or liabilities of any kind arising out of my participation in this event, even if a liability arises out of negligence or carelessness on the part of the persons or organizations named in this waiver. I grant permission to all of the foregoing to use my photographs, motion pictures, recordings or any other record of this event for any legitimate purpose. By registering for this event I hereby agree to the above. I acknowledge that I am at least 18 years of age or am being registered by someone 18 or older.